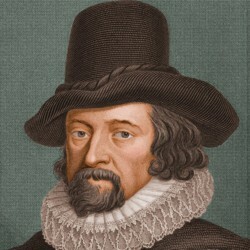 Francis Bacon, 1st Viscount St Alban,[a] PC KC (/ˈbeɪkən/; 22 January 1561 – 9 April 1626) was an English philosopher, statesman, scientist, jurist, orator, and author. He served both as Attorney General and as Lord Chancellor of England. After his death, he remained extremely influential through his works, especially as philosophical advocate and practitioner of the scientific method during the scientific revolution. Bacon has been called the father of empiricism. His works argued for the possibility of scientific knowledge based only upon inductive reasoning and careful observation of events in nature. Most importantly, he argued this could be achieved by use of a sceptical and methodical approach whereby scientists aim to avoid misleading themselves. While his own practical ideas about such a method, the Baconian method, did not have a long lasting influence, the general idea of the importance and possibility of a sceptical methodology makes Bacon the father of scientific method. This marked a new turn in the rhetorical and theoretical framework for science, the practical details of which are still central in debates about science and methodology today. Bacon was generally neglected at court by Queen Elizabeth, but after the accession of King James I in 1603, Bacon was knighted. He was later created Baron Verulam in 1618 and Viscount St. Alban in 1621. [b] Because he had no heirs, both titles became extinct upon his death in 1626, at 65 years of age. Bacon died of pneumonia, with one account by John Aubrey stating that he had contracted the condition while studying the effects of freezing on the preservation of meat. Biographers believe that Bacon was educated at home in his early years owing to poor health, which would plague him throughout his life. He received tuition from John Walsall, a graduate of Oxford with a strong leaning toward Puritanism. 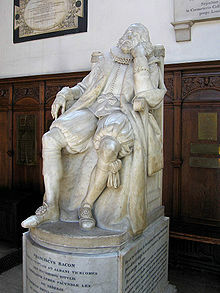 He entered Trinity College, Cambridge, on 5 April 1573 at the age of 12, living for three years there, together with his older brother Anthony Bacon under the personal tutelage of Dr John Whitgift, future Archbishop of Canterbury. Bacon's education was conducted largely in Latin and followed the medieval curriculum. He was also educated at the University of Poitiers. It was at Cambridge that he first met Queen Elizabeth, who was impressed by his precocious intellect, and was accustomed to calling him "The young lord keeper". His parliamentary career began when he was elected MP for Bossiney, Cornwall, in a by-election (similar to a special election in the US) in 1581. In 1584 he took his seat in parliament for Melcombe in Dorset, and in 1586 for Taunton. At this time, he began to write on the condition of parties in the church, as well as on the topic of philosophical reform in the lost tract Temporis Partus Maximus. Yet he failed to gain a position that he thought would lead him to success. 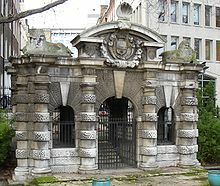 He showed signs of sympathy to Puritanism, attending the sermons of the Puritan chaplain of Gray's Inn and accompanying his mother to the Temple Church to hear Walter Travers. This led to the publication of his earliest surviving tract, which criticised the English church's suppression of the Puritan clergy. In the Parliament of 1586, he openly urged execution for the Catholic Mary, Queen of Scots. In 1596 Bacon became Queen's Counsel, but missed the appointment of Master of the Rolls. During the next few years, his financial situation remained embarrassing. 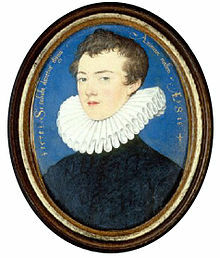 His friends could find no public office for him, and a scheme for retrieving his position by a marriage with the wealthy and young widow Lady Elizabeth Hatton failed after she broke off their relationship upon accepting marriage to Sir Edward Coke, a further spark of enmity between the men. In 1598 Bacon was arrested for debt. Afterward, however, his standing in the Queen's eyes improved. Gradually, Bacon earned the standing of one of the learned counsels, though he had no commission or warrant, and received no salary. His relationship with the Queen further improved when he severed ties with Essex—a shrewd move, as Essex would be executed for treason in 1601. With others, Bacon was appointed to investigate the charges against Essex. 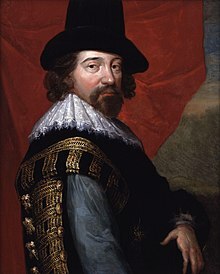 A number of Essex's followers confessed that Essex had planned a rebellion against the Queen.Bacon was subsequently a part of the legal team headed by the Attorney General Sir Edward Coke at Essex's treason trial. After the execution, the Queen ordered Bacon to write the official government account of the trial, which was later published as A DECLARATION of the Practices and Treasons attempted and committed by Robert late Earle of Essex and his Complices, against her Majestie and her Kingdoms ... after Bacon's first draft was heavily edited by the Queen and her ministers. When he was 36, Bacon courted Elizabeth Hatton, a young widow of 20. Reportedly, she broke off their relationship upon accepting marriage to a wealthier man, Bacon's rival, Edward Coke. Years later, Bacon still wrote of his regret that the marriage to Hatton had not taken place. At the age of 45, Bacon married Alice Barnham, the 14-year-old daughter of a well-connected London alderman and MP. Bacon wrote two sonnets proclaiming his love for Alice. The first was written during his courtship and the second on his wedding day, 10 May 1606. When Bacon was appointed lord chancellor, "by special Warrant of the King", Lady Bacon was given precedence over all other Court ladies. Reports of increasing friction in his marriage to Alice appeared, with speculation that some of this may have been due to financial resources not being as readily available to her as she had been accustomed to. Alice was reportedly interested in fame and fortune, and when reserves of money were no longer available there were complaints about where all the money was going. Alice Chambers Bunten wrote in her Life of Alice Barnham that, upon their descent into debt, she actually went on trips to ask for financial favours and assistance from their circle of friends. Bacon disinherited her upon discovering her secret romantic relationship with Sir John Underhill. He rewrote his will, which had previously been very generous—leaving her lands, goods, and income—revoking it all. Bacon's personal secretary and chaplain, William Rawley, however, wrote in his biography of Bacon that his marriage was one of "much conjugal love and respect", mentioning a robe of honour that he gave to Alice and which "she wore unto her dying day, being twenty years and more after his death". The well-connected antiquary John Aubrey noted in his Brief Lives concerning Bacon, "He was a Pederast. His Ganimeds and Favourites tooke Bribes", biographers continue to debate Bacon's sexual inclinations and the precise nature of his personal relationships. [c] Some authors believe that despite his marriage, Bacon was primarily attracted to men. Forker, for example, has explored the "historically documentable sexual preferences" of both King James and Bacon, and concluded they were all oriented to "masculine love", a contemporary term that "seems to have been used exclusively to refer to the sexual preference of men for members of their own gender." The Jacobean antiquarian Sir Simonds D'Ewes implied there had been a question of bringing him to trial for buggery, which his brother Anthony Bacon had also been charged with. This conclusion has been disputed by others, who point to lack of consistent evidence, and consider the sources to be more open to interpretation. In his New Atlantis, Bacon describes his utopian island as being "the chastest nation under heaven", in which there was no prostitution or adultery, and further saying that "as for masculine love, they have no touch of it". On 9 April 1626, Bacon died of pneumonia while at Arundel mansion at Highgate outside London. An influential account of the circumstances of his death was given by John Aubrey's Brief Lives, with Aubrey stating he contracted pneumonia while studying the effects of freezing on the preservation of meat. Aubrey has been criticised for his evident credulousness in this and other works; on the other hand, he knew Thomas Hobbes, Bacon's fellow-philosopher and friend. Aubrey's vivid account, which portrays Bacon as a martyr to experimental scientific method, had him journeying to Highgate through the snow with the King's physician when he is suddenly inspired by the possibility of using the snow to preserve meat: "They were resolved they would try the experiment presently. They alighted out of the coach and went into a poor woman's house at the bottom of Highgate hill, and bought a fowl, and made the woman exenterate it." After stuffing the fowl with snow, Bacon contracted a fatal case of pneumonia. Some people, including Aubrey, consider these two contiguous, possibly coincidental events as related and causative of his death: "The Snow so chilled him that he immediately fell so extremely ill, that he could not return to his Lodging ... but went to the Earle of Arundel's house at Highgate, where they put him into ... a damp bed that had not been layn-in ... which gave him such a cold that in 2 or 3 days as I remember Mr Hobbes told me, he died of Suffocation." At the news of his death, over 30 great minds collected together their eulogies of him, which were then later published in Latin. He left personal assets of about £7,000 and lands that realised £6,000 when sold. His debts amounted to more than £23,000, equivalent to more than £3m at current value. Scientific works – in which his ideas for an universal reform of knowledge into scientific methodology and the improvement of mankind's state using the Scientific method are presented. Bacon's seminal work Novum Organum was influential in the 1630s and 1650s among scholars, in particular Sir Thomas Browne, who in his encyclopaedia Pseudodoxia Epidemica (1646–72) frequently adheres to a Baconian approach to his scientific enquiries. During the Restoration, Bacon was commonly invoked as a guiding spirit of the Royal Society founded under Charles II in 1660. During the 18th-century French Enlightenment, Bacon's non-metaphysical approach to science became more influential than the dualism of his French contemporary Descartes, and was associated with criticism of the ancien regime. In 1733 Voltaire introduced him to a French audience as the "father" of the scientific method, an understanding which had become widespread by the 1750s. In the 19th century his emphasis on induction was revived and developed by William Whewell, among others. He has been reputed as the "Father of Experimental Philosophy". In 1902 Hugo von Hofmannsthal published a fictional letter addressed to Bacon and dated 1603, about a writer who is experiencing a crisis of language. Known as The Lord Chandos Letter, it has been proposed that Bacon was identified as its recipient as having laid the foundation for the work of scientists such as Ernst Mach, notable both for his academic distinction in the history and philosophy of the inductive sciences, and for his own contributions to physics. A Newfoundland stamp which reads "Lord Bacon – the guiding spirit in colonization scheme"
Although few of his proposals for law reform were adopted during his lifetime, his legal legacy was considered by the magazine New Scientist in 1961 as having influenced the drafting of the Napoleonic Code as well as the law reforms introduced by 19th-century British Prime Minister Sir Robert Peel. The historian William Hepworth Dixon had referred to the Napoleonic Code as "the sole embodiment of Bacon's thought", saying that Bacon's legal work "has had more success abroad than it has found at home", and that in France "it has blossomed and come into fruit". 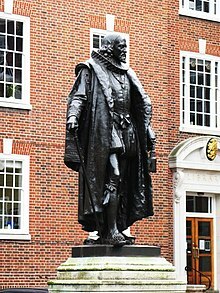 Bacon is commemorated with a statue in Gray's Inn, South Square in London where he received his legal training, and where he was elected Treasurer of the Inn in 1608.James McClellan, a political scientist from the University of Virginia, considered Bacon to have had "a great following" in the American colonies. More recent scholarship on Bacon's jurisprudence has focused on his advocating torture as a legal recourse for the crown. Bacon himself was not a stranger to the torture chamber: in his various legal capacities in both Elizabeth I's and James I's reigns, Bacon was listed as a commissioner on five torture warrants. In 1613(? ), in a letter addressed to King James I on the question of torture's place within English law, Bacon identifies the scope of torture: a means to further the investigation of threats to the state: "In the cases of treasons, torture is used for discovery, and not for evidence." For Bacon, torture was not a punitive measure, an intended form of state repression, but instead offered a modus operandi for the government agent tasked with uncovering acts of treason.